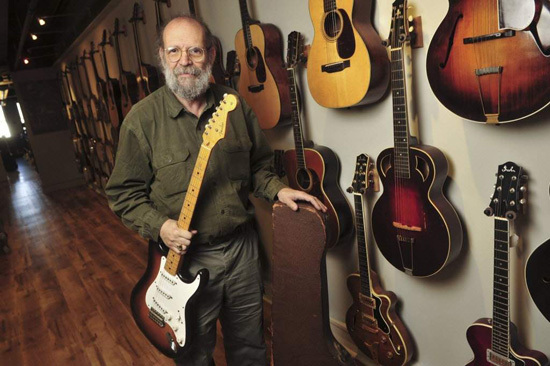 George Gruhn, owner of Nashville's Gruhn Guitars, has just sold the very first production-model Fender Stratocaster for $250,000. 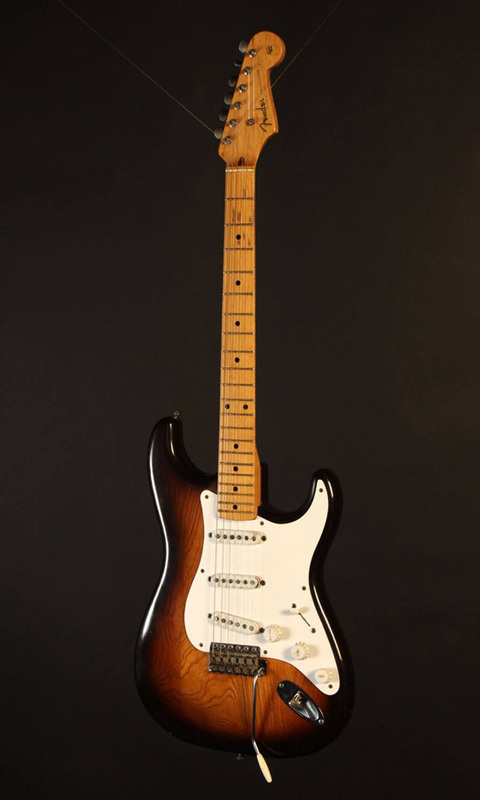 The 1954 Strat was sold on consignment for guitar historian Richard Smith. The buyer, a private collector in the U.S., wished to remain anonymous. The guitar, which was in excellent condition and reportedly all original, had the serial number 0100 on the back tremolo plate. Fender has verified it as being the very first non-prototype, production-model Stratocaster, even though later models have lower numbers starting with 0001. Gruhn told the Tennessean that the buyer is not a guitar player, and so he encouraged the man to contact the Musical Instrument Museum in Phoenix about putting the prized axe on public display. We're excited to bring you official guitar tab for 14 classic Robben Ford tracks, including "Nothing to Nobody," "I Ain't Got Nothin' But the Blues," "Tell Me I'm Your Man," and "You Cut Me to the Bone." Ford has a well earned reputation for some of the tastiest blues-based lines in the business, and using these note-for-note transcriptions, you get an inside peek at some of his greatest licks and phrases. Eddie Van Halen is undeniably one of the most important and influential rock guitarists in history, and though we've long had the guitar tab for Van Halen's early classics like "Eruption," "You Really Got Me," and "Unchained," we're now excited to be rolling out the tab for Sammy Hagar–era songs like "Dreams," "Why Can't This Be Love," and "Right Now." Additionally, we've also got tab from the band's recent reunion with David Lee Roth on A Different Kind of Truth, including "Tattoo" and "She's the Woman." Click here to browse all of our official Van Halen guitar tab!